This weeks Photo Wednesday was taken at the Korean Folk Village in Yongin, just east of Suwon. 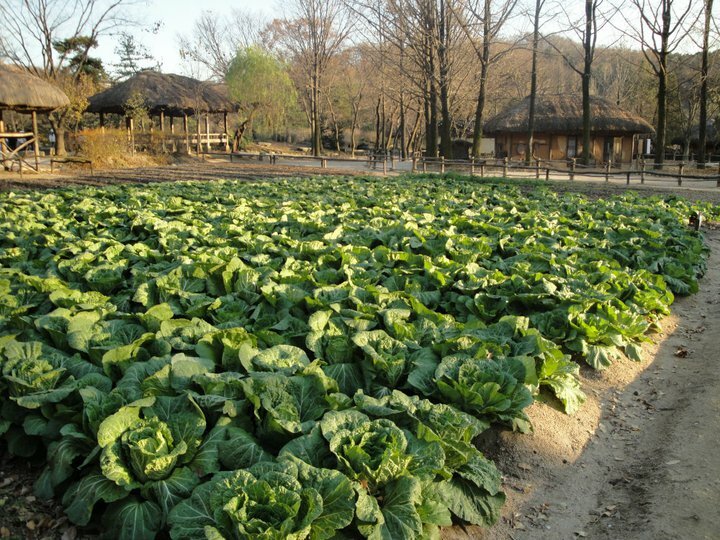 It’s a photo of a Cabbage Farm (or at least a small crop) looking basically ready for harvest. It’s surrounded by traditional looking buildings and it does feel like your back in a simpler time. Last weeks Photo Wednesday “Songdo International City Limits” Please Click Here.